If you garden in an area with limestone, your soil will become alkaline. Similarly, gardens close to woods and in low-lying, waterlogged areas tend to have acidic soil. You shouldn’t waste your time trying to drastically change the basic nature of the soil in your area to suit the plants you want to grow. Adding urea and plenty of organic matter to alkaline soil or liming acid soils can neutralize the pH but only temporarily, and the effect will not be on the long term. Tilling the land is an old gardening practice to remove weeds, aerate the soil, and mix in compost and other additives. In most situations though, this has been found to be a time wasting activity. If you till your yard once, you will find that you have to continue doing that over and over again. Ground that is disturbed is taken over by weeds that have been waiting for such an opportunity. Keep tilling to the minimum. Look at how nature adds organic matter to the top of the soil and still nurtures a large variety of plants. There’s really no need to pull up each and every crop and add it to the garbage or compost pile. Instead, remove the top growth if you must, but leave the roots to decompose in the soil. They help keep the soil aerated and can even enrich it with some nutrients. Plants only need just enough water to keep them hydrated. Overwatering can result in extensive vegetative growth at the expense of yield. It promotes weed growth and depletes the nutrients in the soil. Soil enriched with compost and other organic matter usually has all the nutrients plants need.Your plants will appreciate an occasional feeding , but very frequent fertilization increases salt buildup, which can burn the plant tissues. Look out for specific nutrient deficiencies and fertilize accordingly, instead of wasting time and money on routine feeding. Most vegetables need full sun to reach their potential in terms of growth and yield. Some may tolerate dappled light if all their other needs are met. There are only a few that will thrive in partial shade, and you’d be hard pressed to find any that do well in complete shade. So, if you intend to grow food, set aside the sunniest spots for the vegetable patch and leave the low-light areas to sweet box, hostas and other ornamentals that will thrive there. A garden is meant to be populated by not only plants but a variety of animal life. Actually, their presence is an indication of the health of your garden. Some insects are pollinators; others act as bio-controls. Avoid spraying with pesticides that kill indiscriminately. Having said that, we cannot possibly allow a major chunk of the plants and their produce to be devoured by unwelcome guests. Try mechanical and biological controls first, and if that doesn’t seem to have much of an effect, turn to organic pesticides like neem oil that do not harm pollinators. 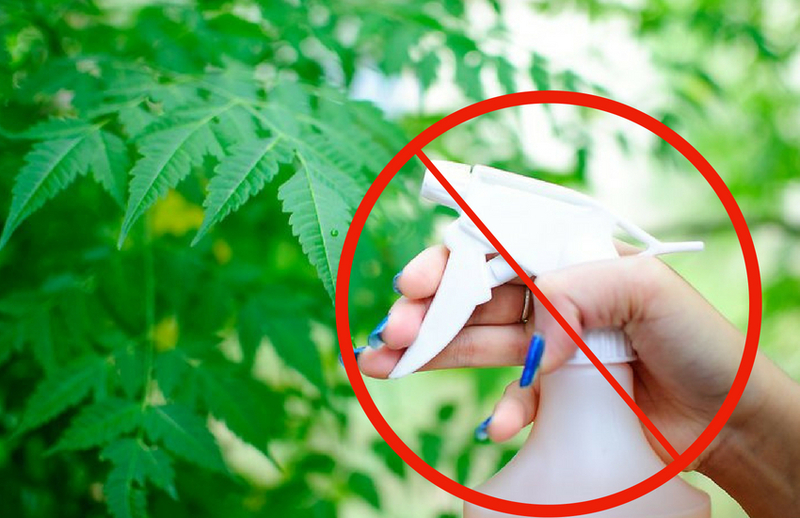 Herbicides seem like an easy alternative to other time-consuming weeding operations, but the action of weed killers that do not harm your plants is limited to existing weeds. That’s why they are called post-emergent herbicides. They can quickly clear an area for planting, but new weeds will eventually sprout in your beds. You cannot reuse the herbicide unless you’re growing genetically modified herbicide-resistant plants. Most gardeners are not immune to zone envy, but pampering a few plants––native or introduced––that do well in other areas, but not locally, is often a waste of time and effort. Instead of doing this, why not invest the same on plants guaranteed to thrive in your area. It is a common myth among people that deep holes help anchor a growing tree better. Saplings planted in holes too large and deep tend to restrict their roots to that area with loose soil. Smaller holes, preferably of larger diameter than depth, force the plant to send out roots in all directions, which would give it more stability in the long run. Trying to control the growth and shape of shrubs and trees with frequent pruning can be a futile effort and can actually harm a plant. While infrequent and regular pruning can be helpful, too much of it can be devastating for a plant, particularly a young one. Select and site plants carefully, keeping in mind their natural form, growth habits, and final size. You can find naturally compact shrubs, conifers with neat columnar form, and small or slow growing trees. I mostly agree with all except #6. I am in Central Texas and our summer sun must be very different than yours. I have found my tomatoes like full sun but my peppers grow better in they are shaded from the full afternoon heat. You can forget leafy greens in the summer here unless you grow them under a shade block. I also use RoundUp around the edges of my beds to keep the Bermuda back. I keep a 1 foot dead zone around the beds. With drip irrigation so I don’t water the grass I only have to treat after rains. I never use it in the beds.